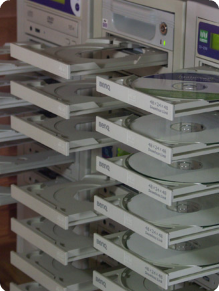 Single or bulk DVD and CD duplication. Full sized 12 cm quality Verbatim long life, blue dye disc media used for all duplication. Artwork can be printed in black on white or full colour from client supplied files, or Lifeshaper can create artwork to suit. Lifeshaper uses a thermal printing process that produces a gloss looking surface print that won't smudge when handled by moist fingers, as inkjet prints can do. Lifeshaper supplies discs in a choice of paper or plastic sleeves, jewell and clamshell CD cases, DVD library cases. Lifeshaper can also print the inserts and DVD case wraparound 'slick' artwork. 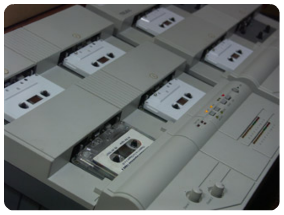 Bulk audio cassette duplication also available.